Yo! So first of all, Aaron's my buddy. Met in Chiang Mai a couple years in ago while coffeeshop hustling. So naturally I'd been following him on Instagram for the past couple years. 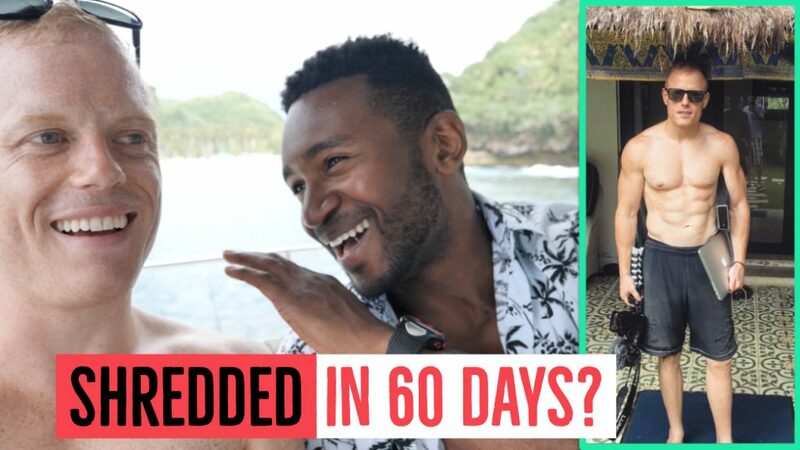 But this past year he started to hang out with Mike Vestil (another entrepreneur / youtuber i met initially in CM), and they started to promote this 'Alpha Shredding' thing ... and Mike got SUPER shredded lol. After months and months of seeing them both Shredded AF on the gram in Bali, I was like OK, I've seen enough shreddedness, time I check out whats inside this Alpha Shredding program. So I bought it. So anyway! Pics speak for themselves! If ur looking for an excuse to get shredded, don't wait ANY longer and just freaking go buy for his program! Half of the results will come from putting your MONEY where your MOUTH is and just COMMITTING!